If you’re dealing with HVAC devices on a daily basis, you’ll need a quality multimeter with a bunch of features to conduct the tests and analysis properly. Purchasing a unit isn’t a hard task, however, finding the perfect one can be challenging. A lot of manufacturers sell their products either for an unacceptable price, or they simply aren’t worth buying due to the lack of some critical features. We are here to help you with the choice. 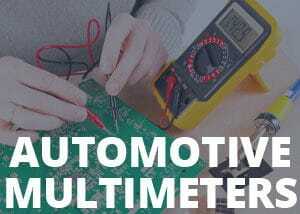 We made a list of multimeters we consider are worth checking out. Go ahead and read our reviews, you’ll get a much better insight into the features and capabilities of a particular model. In this case, if you ever heard about the Fluke 116 but you didn’t have the time or chance to research deeper, now is the time. Bear in mind, all our reviews are unbiased, comprehensive, and most importantly – honest. If you don’t like this particular model, feel free to check out our other reviews, we’ve covered a lot of purchase-worthy multimeters, you’re bound to find the suiting one for yourself. This unit is great for both professionals and DIY-ers. However, most hobbyists don’t need some auxiliary features that this meter has to offer. So, if you want to conduct occasional tests around your household and nothing else, try finding something with fewer options for a more affordable price. On the other hand, if you’re dealing with electricity daily, the Fluke 116 might be the thing you’re looking for. This multimeter can measure temperature, frequency, capacitance, voltage, current, and more. As you can see, it’s safe to say that this is a pretty versatile instrument, to say the least. One of the trademarks of the Fluke Company is the quality of production. You can rest assured that you’re going to get a precise, accurate, and properly calibrated unit. The well-known sturdy design allows you to use this model regardless of the conditions you’re in. Each and every unit is shock-tested and carefully analyzed. The data hold option is great for people who are in a hurry or don’t have a piece of paper to write down the values immediately. The values are sometimes hard to memorize. However, the data hold feature alleviates the issue. It will store your last reading until you overwrite it with a new one, or press the button again. While some consider this feature a standard, it’s still worth mentioning because of its usefulness. If you want to measure the temperature of a particular object or liquid, you’ll easily do it with the Fluke 116. All you have to do is select the temperature mode and read the room temperature. If you want to conduct a measurement using a probe, connect the thermocouple that’s included in the box and put the end of it on the thing you want to test. In case you want to measure the temperature of a liquid, dip the thermocouple in and wait for the results. Make sure that the liquid isn’t corrosive or else you’ll jeopardize the integrity of the thermocouple. The screen is large and legible, which is great because those are the two crucial features of a quality display. The bright LED backlight allows you to work in a dark environment without much hassle. The common problem with multimeter screens, in general, is the loss of contrast under certain angles. This one doesn’t lose much contrast under peculiar angles, although, it’s noticeable in dark environments. However, it’s not a big deal; you’ll get used to it within minutes. While many people consider the True RMS function as a standard in HVAC instruments, it’s worth pointing out regardless. The True RMS offers accurate and precise data under unfavorable conditions such as the presence of ghost voltage. While many multimeters on the market lack this function, most of the HVAC ones have it, and that makes the HVAC units much more precise and accurate than the regular multimeters. Although this might not seem impressive to the beginners, the professionals greatly appreciate this feature and most of them couldn’t work without it. This multimeter can be ranged both manually and automatically. It goes to show how versatile this unit is. While beginners appreciate the auto-ranging aspect of it, the professionals sometimes need to set the range manually. Units with both manual and automatic ranging are on the top when it comes to the usefulness and reliability. Although anyone can use it, it’s not recommended for absolute beginners. The reason is simple – there are too many additional options you might not need if you’re not dealing with HVAC applications on a daily basis. It has a somewhat premium price, so if you need a simple multimeter for occasional use; you might want to keep looking. On the other hand, if you’re a devoted professional, the Fluke 116 has everything you’ll ever need for precise and accurate analysis. You can measure frequency, current, temperature, and more. In other words, the Fluke 116 is perfect for professionals who want to purchase a quality instrument for an affordable price. While it’s a great product, the Fluke 116 comes with a few downsides. Although most of these shortcomings aren’t critical, it’s still worth mentioning them so that you know what to expect if you opt for this particular model. First of all, the loss of contrast on the display while the unit is under a certain angle tends to become annoying after a while. Even though you’ll get used to it pretty quickly, it can be a nuisance occasionally. If you ever encounter this problem, tilt the unit slightly in any direction until you find the optimal angle. Don’t worry, though; it usually happens in dark conditions when you have to use the backlight. A lot of people say they’ve encountered some problems when using the thermocouple. This unit can display inaccurate temperatures sometimes. Although the meter we’ve tested didn’t have a problem with the temperature probe, the fact is that a vast number of people noticed this downside. The last thing people notice is the country of origin. While many say it’s made in the United States, a vast majority of these units are assembled in China. Can beginners use this unit? In theory, yes. However, it’s not advised because of the additional features. In other words, you’ll probably overpay it if you need it just for occasional tests around the household. Not at all. It’s quite straightforward and simple. However, make sure you read the user manual regardless of your expertise. Yes, you can. A thermocouple is included in the box if you want to measure the temperature of an object or a liquid. The unit can also measure the room temperature without the thermocouple. No, it doesn’t. However, you can order the calibration certificate if you’re ready to pay a fee. Is it an expensive meter? It depends on your definition of “expensive.” While it may have a somewhat premium price, it’s worth every penny if you’re a person who’s dealing with HVAC units on a daily basis. The users love its versatility, durability, and reliability. It won’t let you down in tight situations, it’s affordable, and most importantly – easy to use. One thing is certain – if you opt for this particular model, you won’t regret your decision. It has a nice 4.5-star rating on Amazon which is more than enough proof of quality. Most of the negative reviews are more about the shipping companies and less about the product itself. The Fluke 116 is a decent HVAC Multimeter with a ton of additional features. If you’re a person who needs these features daily – don’t hesitate to check out this model. However, if you’re an absolute beginner, you might want to search for something with less auxiliary features, because you might get confused by all the extra things that Fluke 116 has to offer. If you didn’t like this particular model, go ahead and read our other reviews, you might find something of interest.